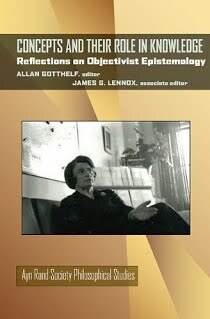 Concepts and Their Role in Knowledge offers scholarly analysis of key elements of Ayn Rand’s radically new approach to epistemology. The four essays, by contributors intimately familiar with this area of her work, discuss Rand’s theory of concepts—including its new account of abstraction and essence—and its central role in her epistemology; how that view leads to a distinctive conception of the justification of knowledge; her realist account of perceptual awareness and its role in the acquisition of knowledge; and finally, the implications of that theory for understanding the growth of scientific knowledge. The volume concludes with critical commentary on the essays by distinguished philosophers with differing philosophical viewpoints and the author’s responses to those commentaries. This is the second book published in Ayn Rand Society Philosophical Studies, which was developed in conjunction with the Ayn Rand Society to offer a fuller scholarly understanding of this highly original and influential thinker. The Ayn Rand Society, an affiliated group of the American Philosophical Association, Eastern Division, seeks to foster scholarly study by philosophers of the philosophical thought and writings of Ayn Rand.